A Readers Guide summarizing news coverage during 2016 of the so-called "28 Pages" (actually 29 pages) is provided below to show the background of the controversy that prompted authorities to release on July 15 a redacted version of the 2002 Senate-House Inquiry on who funded 9/11 terrorism hijackers. This Readers Guide is a companion piece to the Justice Integrity Project comprehensive column on the topic published July 18, Report On Saudi 9/11 Terrorists Prompts Outrage, New Questions. "First and foremost," she said of those officials claiming there was nothing new in the day's revelations, "here is what you need to know when you listen to any member of our government state that the newly released 29 pages are no smoking gun — THEY ARE LYING." The summary is below, and will be updated as needed. National Press Club, Sen. Bob Graham to Discuss Recently Released Classified Documents Detailing Saudi Involvement in 9/11 Plot and What Still Needs to be Revealed at Newsmaker Aug. 31, Jamie Horwitz, Aug. 29, 2016. Last month, the Administration and Congress released a redacted version of the missing 28 pages from the Congressional Joint Inquiry into the 9/11 attacks. These formerly classified documents reinforce the belief that the 19 hijackers — most of whom spoke little English, had limited education and had never before visited the United States — did not act alone in perpetrating the sophisticated 9/11 plot. It suggests a strong linkage between those terrorists and the Kingdom of Saudi Arabia, Saudi charities, and other Saudi stakeholders. RT, Un-Redacting the 28 Pages, Sean Stone of "Watching the Hawks" interviews author and WhoWhatWhy investigative founder and editor-in-chief Russ Baker on revelations regarding the 9/11 atrocity, Aug. 11, 2016 (9:54 min. video). Maybe there was more to the story because if in fact the Saudis were in fact behind this why didn't the U.S. Justice Department go after them? What we see continually is cover up by the Justice Department, by the CIA, by the FBI, by the State Department. What are they covering up?" Washington Post, The ‘missing 28 pages’ from the Congressional report on 9/11 won’t stop conspiracy theories. Here’s why, Sasha Dudding, Brendan Nyhan and Heather Szilagyi, Aug. 3, 2016. Sasha Dudding and Heather Szilagyi are 2015 graduates of Dartmouth College, where Brendan Nyhan is a professor of government. Last month, the House Intelligence Committee released a previously classified section of the 2002 congressional inquiry into the Sept. 11, 2001, attacks known as the missing “28 pages.” The U.S. government allegedly kept this document confidential to protect its relationship with Saudi Arabia. Instead, the move ended up fueling a massive controversy centered on claims of a coverup by the U.S. government intended to suppress evidence of Saudi complicity in the 9/11 attacks. 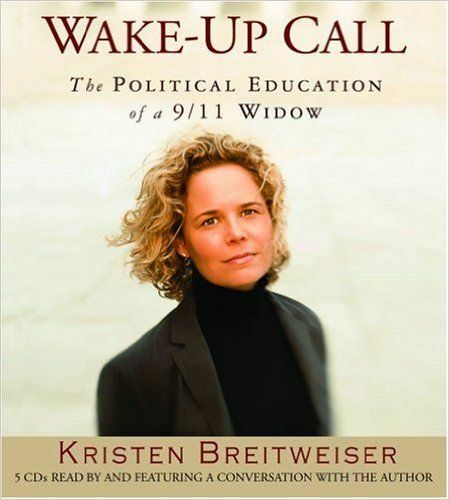 Huffington Post, 29 Pages Revealed: Corruption, Crime and Cover-up Of 9/11, Kristen Breitweiser, July 16, 2016. (9/11 widows Monica Gabrielle, Mindy Kleinberg, Lorie Van Auken, and Patty Casazza all sign their names to this blog) First and foremost, here is what you need to know when you listen to any member of our government state that the newly released 29 pages are no smoking gun — THEY ARE LYING. Our government’s relationship to the Kingdom of Saudi Arabia is no different than an addict’s relationship to heroin. Much like a heroin addict who will lie, cheat, and steal to feed their vice, certain members of our government will lie, cheat, and steal to continue their dysfunctional and deadly relationship with the KSA — a relationship that is rotting this nation and its leaders from the inside out. When CIA Director John Brennan states that he believes the 29 pages prove that the government of Saudi Arabia had no involvement in the 9/11 attacks, recognize that John Brennan is not a man living in reality — he is delusional by design, feeding and protecting his Saudi vice. Read the 29 pages and know the facts. Do not let any person in our government deny the damning reality of the 29 pages. MadCowNews, Why were Saudis “bulletproof” even AFTER the 9/11 Attack? 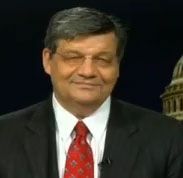 Daniel Hopsicker, July 16, 2016.The first hugely shocking revelation in the 28-page secret chapter of the Joint Congressional Intelligence Committee Inquiry into the 9/11 attack occurs less than half-way down the very first page, and raises the chief question arising out of the release. The story of the 9/11 attack is a story of Saudis in Florida. But the until-now classified pages report show that fully one year after the attack the CIA and FBI remained inexplicably uncomfortable with the essential fact of any real 9/11 investigation: that 15 of the 19 hijackers were Saudi. The big question is not whether the pages “prove” or “disprove” Saudi government involvement in the 9/11 attack, but what —absent massive bribery—explains what made the Saudis “bulletproof” from investigation for so long, even after the attack? USA Today via WTSP-TV (Florida), 5 fascinating items in new 9/11 documents, Ray Locker and Erin Kelly, July 16, 2016. The 28 pages of declassified intelligence documents analyzed by the 9/11 Commission and released Friday revealed several interesting tidbits about what FBI and CIA officials uncovered in their investigation of the intelligence failures surrounding the terror attacks. Much of the information involved Saudi Arabia, its diplomats and its financial support of Islamic groups and causes. 1. California-based Saudis aided two 9/11 hijackers. 2. A Los Angeles-area mosque was a "site of extremist-related activity." 5. Saudis didn't cooperate on bin Laden. 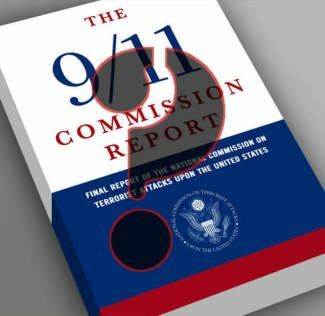 Reflector.com (Greenville, NC), Jones commends release of 28 pages of 9/11 report, Staff and wire reports, July 16, 2016. 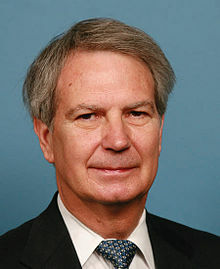 U.S. Rep. Walter Jones said newly declassified pages from a congressional report into 9/11 will give victims' families and the American public more insight into the tragedy. Congress released the last chapter of the congressional inquiry that has been kept under wraps for more than 13 years, stored in a secure room in the basement of the Capitol. Lawmakers and relatives of victims of the attacks, who believe that Saudi links to the attackers were not thoroughly investigated, campaigned for years to get the pages released, the Associated Press reported. 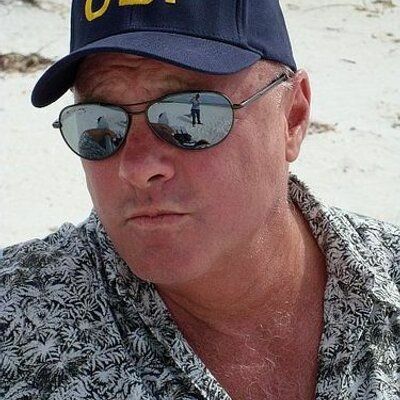 Florida Bulldog, The release of the 28 pages isn’t the last word in the search for who was behind 9/11, Dan Christensen, July 15, 2016. 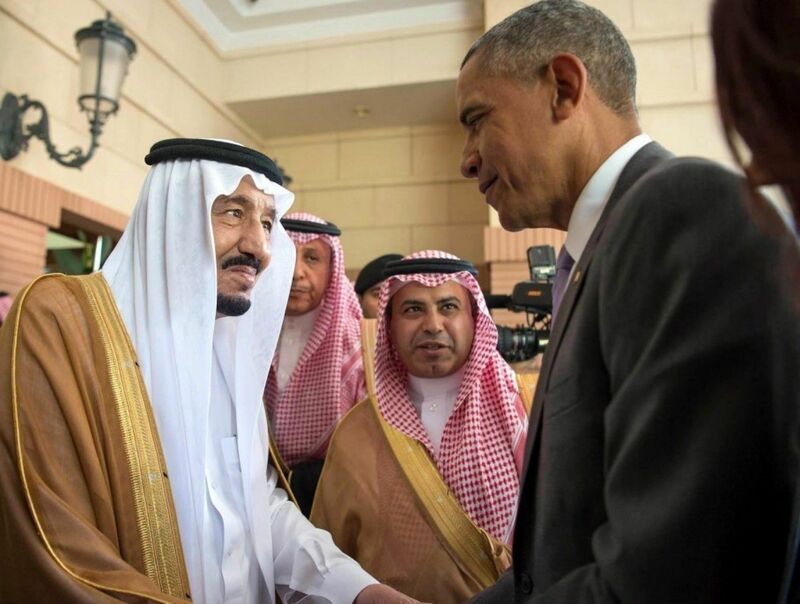 It took 13 1/2 years and enormous public and political pressure to force President Obama to order today’s release of the suppressed chapter from Congress’s Joint Inquiry report about apparent Saudi support for the 9/11 suicide hijackers. The pages, however, were not released in full. Nearly every page is speckled with black marks where information was redacted. In some cases, those deletions are of entire paragraphs, almost certainly meaning that controversy about the 28 pages will continue. Those 28 pages, however, aren’t nearly the last word about the people and events behind 9/11. Tens of thousands, likely hundreds of thousands, of additional U.S. government investigative documents about the Sept. 11, 2001 terrorist attacks remain classified. “I hope the 28 pages are the cork in the bottle and that all that other material will now be released,” said former Florida Sen. Bob Graham. Graham co-chaired the Joint Inquiry and has long advocated for the public release of the chapter that was withheld from publication at the direction of President George W. Bush. MadCowNews, Saudis bribed their way into the heart of U.S. Government, Daniel Hopsicker (author of “Welcome To Terrorland”), July 15, 2016. Leading up to today’s release of the redacted 28 pages from the Intelligence Committee Report on the 9/11 Attack, national security officials have beat out a steady drumbeat proclaiming “conspiracy theorists” would be sorely disappointed by the “inconclusive evidence” long-rumored to implicate Saudi Arabian government officials in the 9/11 attack. Nothing, as it happens, could be further from the truth. And no bigger Big Lie in recent memory has issued from the mouth of an official representative of the U. S. Government as that which White House press secretary Josh Earnest uttered today. “The release doesn’t shed any new light or change any of the conclusions about responsibilities for the 9/11 attacks,” Earnest dissembled. “It should put to rest longtime speculation that the Saudi government had a role.” Were that in any way true, the pages would not have been slipped out the door late on a Friday afternoon. And certainly not in the middle of summer, days before the two parties begin holding their conventions. WhoWhatWhy, What the 28 Pages Released on Saudi 9/11 Ties Missed, WhoWhatWhy Team, July 15, 2016. With Congress on Friday abruptly dumping the long-suppressed congressional panel report on connections between the 9/11 hijackers and elements tied to the Saudi royal family, it’s important to note the crucial, stronger evidence, that has never gotten mainstream attention. With that in mind, we here rerun our original investigative reporting showing ties between the Saudi royal faction that since 9/11 took over the kingdom — and the alleged hijackers themselves. It all relates to a house in a gated community in Sarasota, Florida. Here’s our article, which first appeared in 2011, around the time of the 10th anniversary of the attacks. Fox News, Government released secret chapter from 9/11 report, Staff report with video interview of U.S. Rep. Peter King (R-NY), July 15, 2016. The U.S. government on Friday released a once-secret chapter from a congressional report on the 9/11 attacks that addresses Saudi connections to some of the hijackers, a move sure to recharge speculation over what -- if anything -- Saudi government officials knew. Under wraps for 13 years, the report contains numerous redactions but states some hijackers "were in contact with, and received support or assistance from, individuals who may be connected to the Saudi Government." The document, a section of a 2002 congressional inquiry into the Sept. 11 attacks, had been kept secret out of concern that it might fray diplomatic relations between the United States and Saudi Arabia. Its release marks the end of a yearslong fight by lawmakers and families of the Sept. 11 victims to make public any evidence that the kingdom might have played a role in the attacks. Washington Post‎, Congress releases long-classified '28 pages' on alleged Saudi ties to 9/11, Karen DeYoung, Karoun Demirjian and Adam Goldman, July 15, 2016. Washington Post‎, White House says 28 pages of 9/11 report show no evidence of Saudi role, Josh Earnest (White House spokesman), video, July 15, 2016. U.S.intelligence officials have finished reviewing 28 classified pages of the official report on the Sept. 11 attacks and they show no evidence of Saudi complicity, says White House Press Secretary Josh Earnest. Washington Post‎, The mystery surrounding 28 pages said to show links between 9/11 plotters and Saudi Arabia, Adam Taylor, July 15, 2016. Of the 19 hijackers who carried out the 9/11 attacks, 15 were from Saudi Arabia. 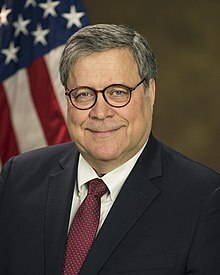 They were all affiliated with al-Qaeda, the terrorist organization founded by Osama bin Laden, the scion of a wealthy and connected Saudi family. The Saudi royal family also has been accused of tolerating extremist clerics within the kingdom in exchange for domestic stability and political support. After the attacks in 2001, these facts contributed to a widespread suspicion that Saudi Arabia, a U.S. ally for 70 years, had somehow aided the plotters, possibly with financing. However, when the 9/11 Commission released its final report on the attacks in 2004, it suggested only that the Saudi government had "turned a blind eye" to charities that funded the attack but was not directly involved. CNN, Congress releases secret '28 pages' on alleged Saudi 9/11 ties, Jim Sciutto, Ryan Browne and Deirdre Walsh, July 15, 2016. A long-classified U.S. report released Friday found that some of the 9/11 hijackers were in contact with and received support from individuals likely connected to the Saudi government. RT, Congressmen urge House to declassify secret 28 pages of 9/11 inquiry, Staff report, July 7, 2016. A revived push to pass a House resolution to declassify 28 pages of a 9/11 report possibly detailing official Saudi Arabian involvement in the terror attacks is being led by a group of congressmen targeting the House Intelligence Committee. New York Times, Lawmakers to Press Again for Release of Pages Missing From 9/11 Report, Carl Hulse, July 6, 2016. June has come and gone, and there is still no sign of the secret 28 pages missing from a 2002 joint congressional report into the Sept. 11, 2001, attacks. 28Pages.org, Rep. Lynch: 28 Pages on 9/11 May Reveal “Terrible, Terrible Errors” by U.S. Intelligence Community, Brian P. McGlinchey, July 6, 2016. Congressman Stephen Lynch, who has read 28 classified pages said to describe links between Saudi officials and the 9/11 hijackers, today suggested that information in the pages may embarrass the U.S. intelligence community. LaRouchePAC Videos, Capitol Hill Press Conference on Declassifying the 28 Pages—H. Res. 779, July 6, 2016. On Wednesday, July 6, 2016 Representatives Walter Jones (R-NC), Stephen Lynch (D-MA) and Thomas Massie (R-KY), along with 9/11 widow Terry Strada held a press conference on Capitol Hill introducing H.Res. 779 as part of an escalation in the fight to declassify a key 28 page section of a Joint Inquiry into the September 11, 2001 attacks which deal with the foreign sponsors of the 9/11 hijackers. Associated Press via PBS, U.S. declassifies File 17, offering clues into secret pages of 9/11 report, Deb Riechmann, July 4, 2016. Amid the clamor a year ago to release 28 still-secret pages of a congressional inquiry into the Sept. 11 attacks, the government quietly declassified a little-known report listing more than three dozen people who piqued the interest of investigators probing possible Saudi connections to the hijackers. The document, known as “File 17,” offers clues to what might be in the missing pages of the bipartisan report about 9/11. 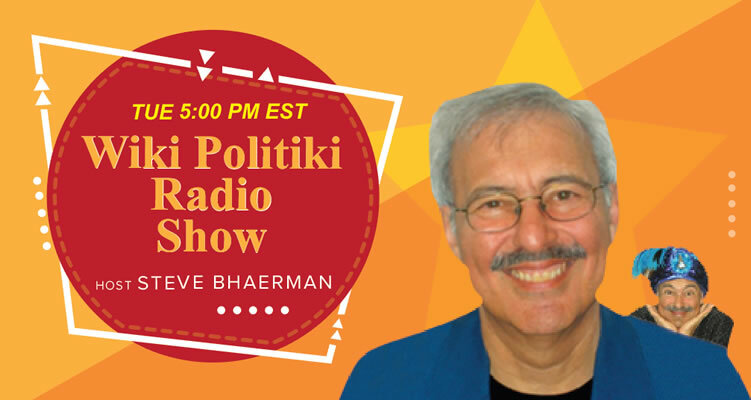 HR14.org, Democracy requires transparency, Les Jamieson, July 3, 2016. Since 2008 families who lost loved ones in the 9/11 attacks have requested President Obama to declassify the 28 pages which would reveal key evidence required in their law suit against Saudi officials, charities, and banks. Obama made the bold move in the summer of 2014 to pass the buck to Director of National Intelligence, James Clapper, to review the 28 pages and initiate the process to declassify what should have never been made secret in the first place. 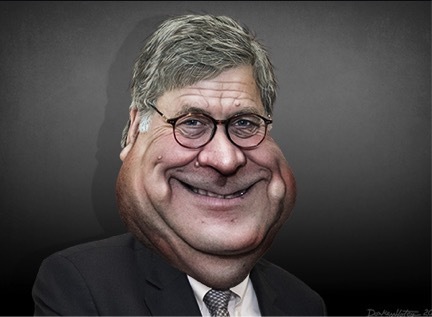 Foot dragging, stonewalling, followed by more delay tactics by the Obama administration to declassify the 28 pages has now been followed by yet another broken promise. Daily Beast, White House Goes Dark on the 9/11 Report’s Secret 28 Pages, Eleanor Clift, June 30, 2016. Former Sen. Bob Graham has spent years trying to get the 28 missing pages of the 9/11 report released and he’s not about to stop now. After years of chasing the missing pages from a report he helped author, former senator Bob Graham seems to have hit a dead end. 28pages.org, Brennan: Release of 28 Pages Requires “Discussions” with Congress, Brian P. McGlinchey, June 29, 2016. Echoing private comments made by Director of National Intelligence James Clapper in May, CIA Director John Brennan today said the release of 28 classified pages that describe links between Saudi Arabia and 9/11 would necessitate coordination between the White House and Congress. Brennan’s remarks came in an appearance at the Council on Foreign Relations, and are the first public assertion by an administration official that an ongoing review of the 28 pages will not end at the White House. 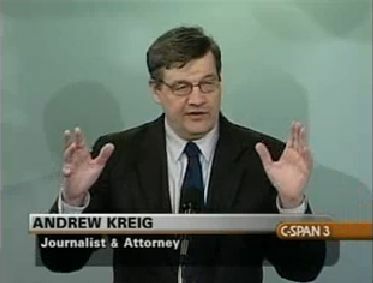 Justice Integrity Project, Conservatives Blast Obama On Terror Attack, Miss Key Clues, Andrew Kreig, June 17, 2016. 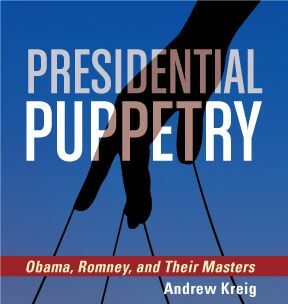 Author Philip B. Haney and four other current or former officials accused the president of leading an incompetent administration whose top law enforcers and other key personnel coddle radical Islamists. Their partisan passion shows lack of basic information even among officials about covert intrigues. Florida Bulldog, FOIA lawsuit disputes 9-11 Review Commission effort to discredit sensational FBI report, Dan Christensen, June 16, 2016. Two blue ribbon government panels on 9/11, two approaches to public accountability. The 9/11 Commission held a dozen public hearings before issuing its 567-page report to the nation in 2004. While many of its records remain classified, the commission also made public additional staff studies with detailed information about terrorist financing, terrorist travel and immigration and border security. The Hill, 9/11 families plead with White House to release secret 28 pages, Julian Hattem, June 6, 2016. Twenty-one family members and survivors of the Sept. 11, 2001, terror attacks wrote to the White House on Monday, pleading with President Obama to release 28 classified pages from a congressional report into the al Qaeda strike. The advocates implored Obama not to waste any time releasing the secret portion of a 2003 report that is believed to contain details linking the government of Saudi Arabia to 9/11. 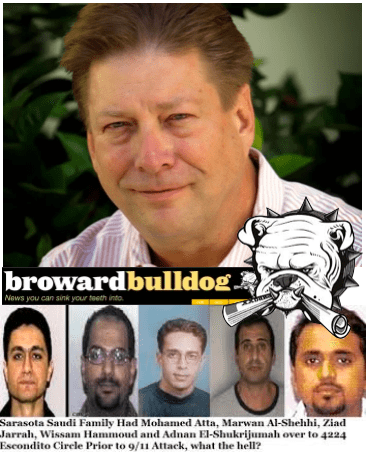 Florida Bulldog, 28 pages and 80,000 pages: The hunt for a Saudi support network for 9-11 hijackers, Dan Christensen, June 1, 2016. Lawyers for the Florida Bulldog have asked a federal judge to award substantial attorney fees for years of efforts to obtain secret reports about the FBI’s post-9/11 investigation of Saudis in Sarasota with apparent ties to the suicide hijackers. 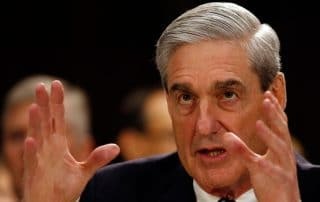 The court papers filed Tuesday seek a court hearing and also show how the Fort Lauderdale Freedom of Information (FOI) case ties into a better-known push to declassify 28 pages that were cut out of a 2002 report by Congress’ Joint Inquiry into the terrorist attacks. Those censored pages involved “specific sources of foreign support” for the hijackers while they were in the U.S.
28Pages.org, A Buried Envelope & Buried Questions: Your First Look Inside Declassified Document 17, Brian P. McGlinchey, April 19, 2016. As President Obama prepares to visit Saudi Arabia on Wednesday, his administration is under increasing pressure to declassify 28 pages that, according to many who’ve read them, illustrate financial links between the Saudi government and the 9/11 hijackers. Meanwhile, a far lesser-known document from the files of the 9/11 Commission—written by the same principal authors as the 28 pages and declassified last summer without publicity and without media analysis—indicates investigators proposed exploring to what extent “political, economic and other considerations” affected U.S. government investigations of links between Saudi Arabia and 9/11. Drafted by Dana Lesemann and Michael Jacobson as a set of work plans for their specific parts of the 9/11 Commission investigation, the 47-page document also provides an overview of individuals of most interest to investigators pursuing a Saudi connection to the 2001 attack that killed nearly 3,000 people. Included in that overview is a previously unpublicized declaration that, after the capture of alleged al-Qaeda operative Ghassan al-Sharbi in Pakistan, the FBI discovered a cache of documents he had buried nearby. Among them: al-Sharbi’s U.S. pilot certificate inside an envelope of the Saudi embassy in Washington, D.C.
CBS 60 Minutes, Top secret "28 pages" may hold clues about Saudi support for 9/11 hijackers, Steve Kroft, April 8, 2016. Former Senator Bob Graham and others urge the Obama administration to declassify redacted pages of a report that holds 9/11 secrets. Current and former members of Congress, U.S. officials, 9/11 Commissioners and the families of the attack's victims want 28 top-secret pages of a congressional report released. 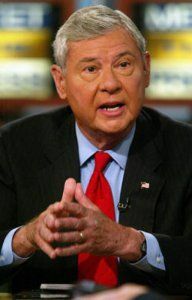 Bob Graham, the former Florida governor, Democratic U.S. Senator and onetime chairman of the Senate Select Committee on Intelligence, says the key section of a top secret report he helped author should be declassified to shed light on possible Saudi support for some of the 9/11 hijackers. 28Pages.org, In New York Times Story on the 28 Pages, 9/11 Commission’s Zelikow Dismissive of Their Value, Brian P. McGlinchey, February 5, 2015. It’s been a week of heightened attention to links between Saudi Arabia and the 9/11 hijackers, first with the news that so-called “20th hijacker” Zacarias Moussaoui has testified that members of the Saudi royal family were major patrons of al Qaeda, and now with a front-page story from New York Times chief Washington correspondent Carl Hulse that discusses the classified, 28-page finding on foreign government links to the 9/11 hijackers found in the report of a joint congressional intelligence inquiry. New York Times, Claims Against Saudis Cast New Light on Secret Pages of 9/11 Report, Carl Hulse, Feb. 4, 2015. A still-classified section of the investigation by congressional intelligence committees into the Sept. 11, 2001, attacks has taken on an almost mythic quality over the past 13 years — 28 pages that examine crucial support given the hijackers and that by all accounts implicate prominent Saudis in financing terrorism. As for our thoughts on the story, we’d like to focus on one specific aspect: The attempt by 9/11 Commission executive director Philip Zelikow to position the commission as having thoroughly investigated and then dismissed the Saudi Arabia leads uncovered by the congressional inquiry that preceded it. Academic Freedom Conference via YouTube, 9/11 Miracles, 2011: Are there Limits to Inquiry? David Ray Griffin, May 28, 2011 (57:40 min.). 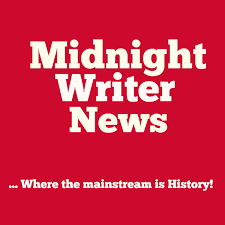 Why do Bill Moyers and Robert Parry Accept Miracles? Dr. David Ray Griffin, Emeritus Professor of Theology and Philosophy of Religion (retired) at Claremont School of Theology and author of 11 books on 9/11, returns to Town Hall in Seattle to explore why some of the best independent journalists in America accept without question the official conspiracy theories put forth by the 9/11 Commission and NIST (National Institute of Standard and Technology) in their investigations of the tragic events of September 11, 2001. Using Bill Moyers and Robert Parry as examples of journalists who have previously demonstrated notable courage, objectivity and a willingness to examine crucial events in depth, rather than simply accepting a single-minded source, Dr. Griffin challenges their current disregard of the overwhelming scientific evidence uncovered by the growing number of professionals openly supporting the 9/11 Truth Movement and calling for a proper investigation. Dr. Griffin explains how careful examination of the "official" conspiracy theories regarding the unprecedented collapse of the three tallest World Trade Center buildings reveals contradictions and violations of the laws of physics, which he rightly points out as being impossible, and therefore would require "miracles" to achieve, unless carried out by the use of explosives, controlled demolition techniques. 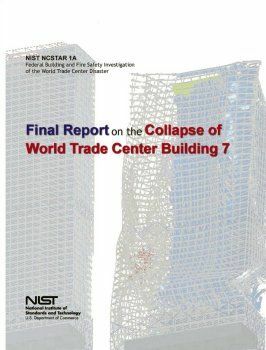 NIST NCSTAR 1: Federal Building and Fire Safety Investigation of the World Trade Center Disaster: Final Report of the National Construction Safety Team on the Collapses of the World Trade Center Tower. Primary Author: Sivaraj Shyam-Sunder. Abstract: This is the final report on the National Institute of Standards and Technology (NIST) investigation of the collapse of the World Trade Center (WTC) towers, conducted under the National Construction Safety Team Act. This report describes how the aircraft impacts and subsequent fires led to the collapse of the towers after terrorists flew jet fuel laden commercial airliners into the buildings; whether the fatalities were low or high, including an evaluation of the building evacuation and emergency response procedures; what procedures and practices were used in the design, construction, operation, and maintenance of the towers; and areas in current building and fire codes, standards, and practices that warrant revision. Extensive details are found in the 42 companion reports. 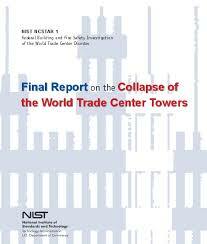 (The final report on the collapse of WTC 7 will appear in a separate report.) Also in this report is a description of how NIST reached its conclusions. NIST complemented in-house expertise with private sector technical experts; accumulated copious documents, photographs, and videos of the disaster; established baseline performance of the WTC towers; performed computer simulations of the behavior of each tower on September 11, 2001; combined the knowledge gained into a probable collapse sequence for each tower; conducted nearly 1,200 first-person interviews of building occupants and emergency responders; and analyzed the evacuation and emergency response operations in the two high-rise buildings. The report concludes with a list of 30 recommendations for action in the areas of increased structural integrity, enhanced fire endurance of structures, new methods for fire resistant design of structures, enhanced active fire protection, improved building evacuation, improved emergency response, improved procedures and practices, and education and training. 2008 NIST Final Reports released in November 2008, Primary Author: Richard G. Gann. Abstract: This report describes how the fires that followed the impact of debris from the collapse of WTC 1 (the north tower) led to the collapse of WTC 7; an evaluation of the building evacuation and emergency response procedures; what procedures and practices were used in the design, construction, operation, and maintenance of the building; and areas in current building and fire codes, standards, and practices that warrant revision. Also in this report is a summary of how NIST reached its conclusions. NIST complemented in-house expertise with private sector technical experts; accumulated copious documents, photographs, and videos of the disaster; conducted first-person interviews of building occupants and emergency responders; analyzed the evacuation and emergency response operations in and around WTC 7; performed computer simulations of the behavior of WTC 7 on September 11, 2001; and combined the knowledge gained into a probable collapse sequence. The report concludes with a list of 13 recommendations for action in the areas of increased structural integrity, enhanced fire endurance of structures, new methods for fire resistant design of structures, enhanced active fire protection, improved emergency response, improved procedures and practices, and education and training. One of these is new; the other 12 are reiterated from the investigation into the collapse of the towers. Each of the 13 is relevant to WTC 7.